African fried chicken is extremely easy to make and full of flavor. 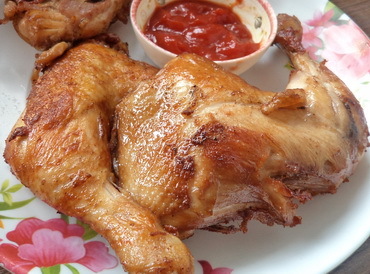 The chicken is first boiled for few minutes with spices and seasonings and then deep fry. You will need to stir occasionally to help to flavor come together. Step 2: Heat the vegetable oil on medium heat and fry the chicken until golden brown and remove. For a healthier version you can also grill the chicken in the oven for 30 minutes. 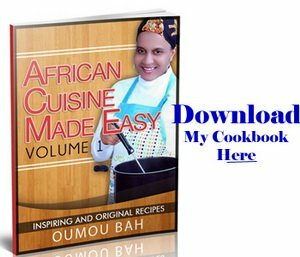 It can be served with tomato sauce, or with anything you want, such as Attieke, Jollof Rice or Couscous.